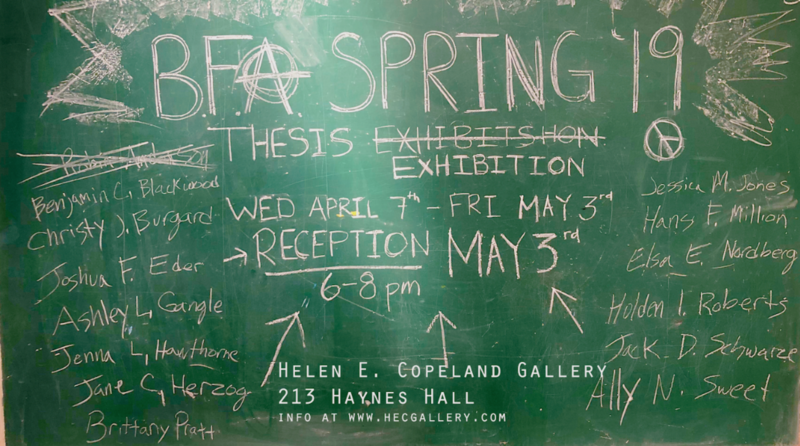 Attention all Montana State University Undergraduate Students – the Helen E. Copeland Gallery, at the School of Art, would like to extend an open call for submissions for this year’s juried exhibition. 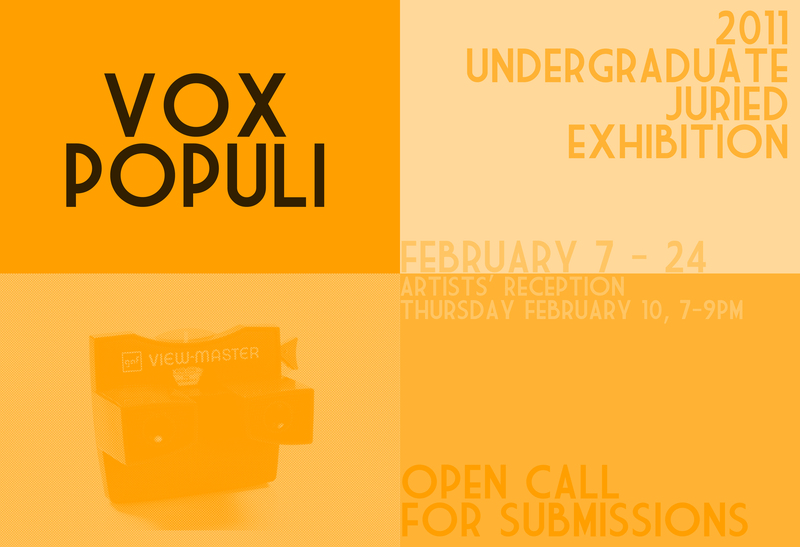 The exhibition is open to all undergraduate students at MSU. All artworks should be delivered to the gallery director in Room 242, Haynes hall along with a completed entry form. Entry forms are available at Room 242, Haynes Hall. You may also download the JPEG here or on Facebook. Early Submissions: $5.00 for up to three artworks. Artworks and entry fee should be delivered on Thursday, January 20, from 9AM-Noon & 2PM-5PM. Late Submissions: $7.00 for up to three artworks. Artworks and entry fee should be delivered on Thursday, January 27, from 9AM—Noon & 2PM-5PM. Gallery director will notify those artists whose works have been accepted by 5PM on Friday, February 4. If you DO NOT receive an email, your work was NOT accepted for this exhibition. Artists whose works have not been accepted should pick up works on Thursday, February 10, 9AM–1PM. Works exhibited in the show may be picked up on Thursday, March 3, 9am–1pm. There will be a drawing for raffle prizes for all artwork entries. The winning tickets will be drawn at the opening reception on Thursday, February 10. All participants will receive one raffle ticket for each set of entries of up to three artworks.